Quick knit! 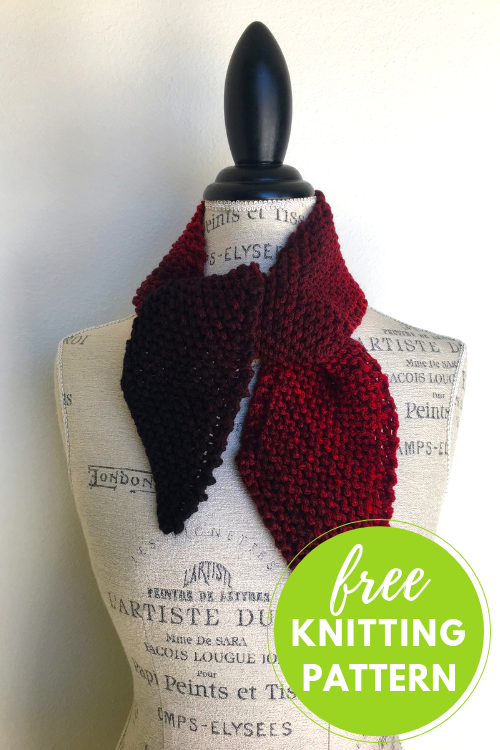 Knitted in garter stitch (knit every row), make a fun diagonal scarflette using one ball of Catena yarn in a gradient shade. Row 2: Kfb, knit across to last 2 stitches, k2tog. Repeat Rows 1 and 2 until only one yard of yarn remains. Bind off and weave in yarn ends.